As all Canadians are supposed to know, the Hudson’s Bay Company was founded on the 2nd of May 1670. But how did that idea start? Not all empires start overnight. In fact, the HBC started as a “wager” to prove that the northern route through the Arctic and the Hudson Bay was just as effective if not more than the traditional route through the St Lawrence. So, a ship was built and commissioned to sail that route. Its name was the “Nonsuch”. The 53 foot long ship sailed in June 1668 and arrived 118 days later at the mouth of a river. The crew called it River Rupert, after Prince Rupert, one of the eighteen supporters of the voyage. After a typical inhospitable Canadian winter, they started trading fur with the Cree in the region. The same year they were back in London to show that the voyage had been a great success. Fur was in big demand and a ship full of furs was worth a fortune. So, the group of voyagers approached the King and asked to create a trading company. The King granted the request and the Hudson’s Bay Company was born on May 2nd 1670. 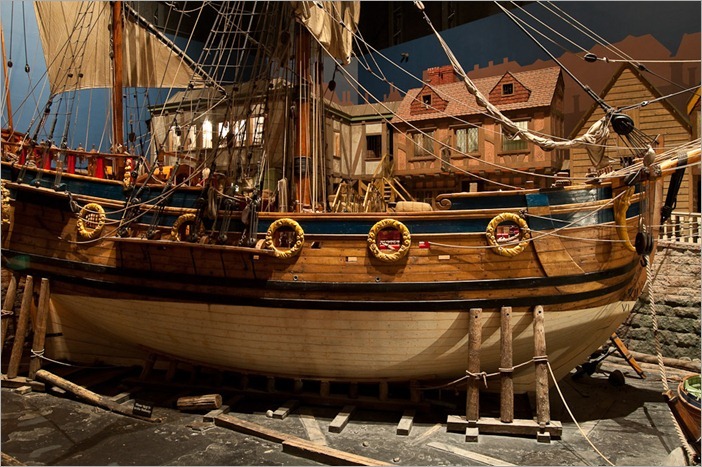 In 1968, the Hudson’s Bay Company commissioned the creation of a replica of the original Nonsuch for their 300th anniversary. This one was built in England using traditional methods and materials as they would have existed in the 17th century. The result is now displayed at the Manitoba Museum in Winnipeg. 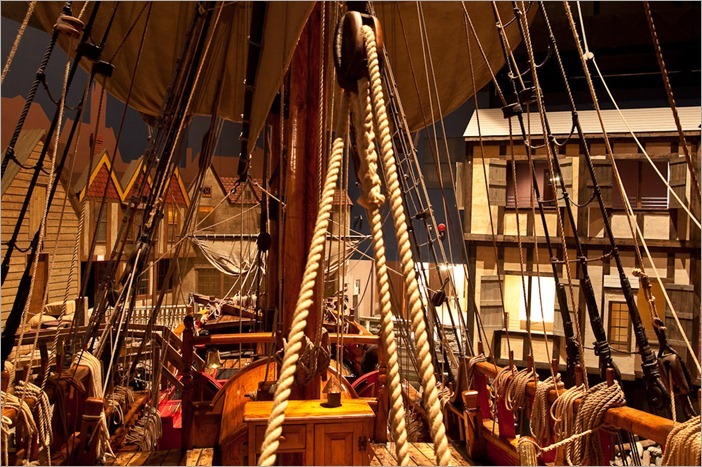 This new Nonsuch also had her share of voyage, in salt water as well as in fresh water. She has sailed in the Atlantic, in the Great Lakes and in the Pacific around Seattle and Vancouver. 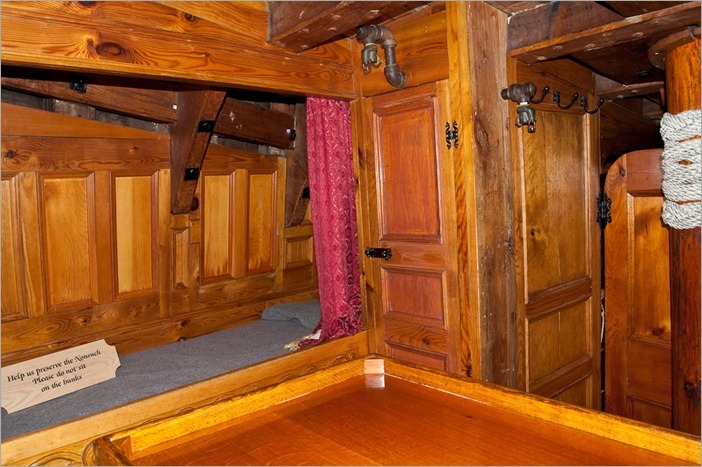 What is interesting to see is the size of the bunks in the captain’s cabin. If today we need beds at least 2m long, the bunks on the ship would need at least another 6 inches to meet our standards. But even if the beds are too short for our standards, the interior is beautifully done, all in hardwood and practically no mechanical-electrical instruments used. Sanding is done by hand, not with electrical sanders, and the varnish work is beautiful. A 53 foot ship, roughly 17m, is not a big ship for current measures, but in the 17th century these were counted as good and big vessels. In the Manitoba museum the ship is stored on concrete, but shown as if she were in for dry maintenance. 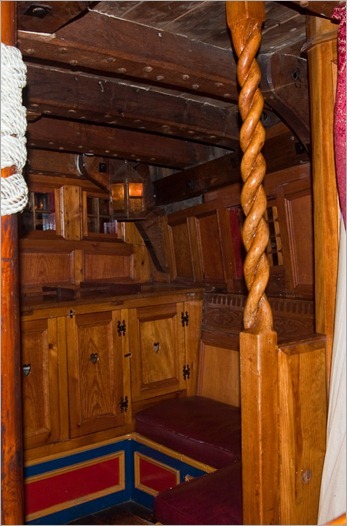 It also give you an opportunity to see the ship from beneath and look at the woodwork that normally would be underwater. 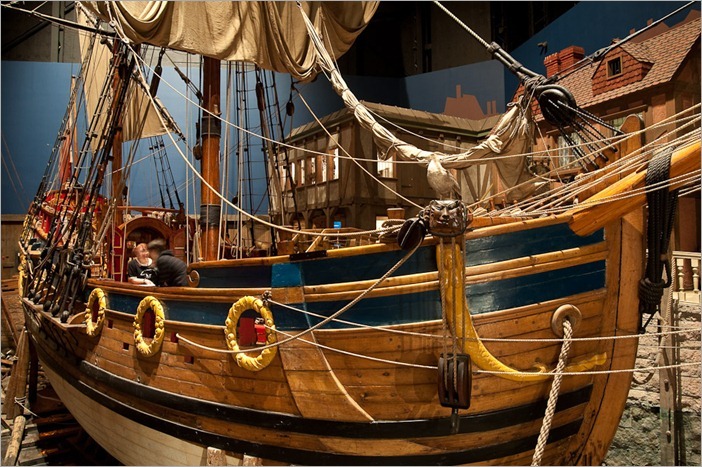 The ship is displayed as if it were in the English harbour where it was built in 1667, complete with harbour master lodgings and quay. When the ship arrived in the Manitoba museum, this is where she was placed by big cranes. She started her career as a museum piece in December 1974 and visibly she still attracts enthusiasts from all over the world.